If you ask most cannabis enthusiasts what they think makes “good weed”, the first thing they’ll likely tell you is that it’s all about the effect. After all, this is why most of us smoke weed in the first place, right? They may possibly also say that it’s important how strong a strain is, and then how it tastes when they smoke it. And although many cannabis smokers may think that the appearance of weed doesn’t matter too much to them, there are those who would disagree. 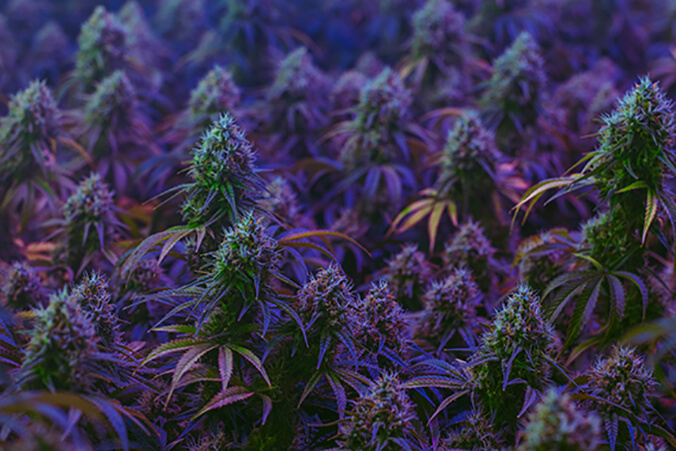 For some cannabis cultivators, growing beautiful purple marijuana may just be a fun thing to do, or they just want to try something different and a little bit more challenging. Others may grow purple weed so they can show off their growing skills to their fellow marijuana friends. No doubt, weed with an eye-catching colour won’t just look great in your grow-room. It will look even better when you show it off to your friends! Think about it: which weed would your friends be really curious to check out? The weed that looks like any other, or your gorgeous purple buds? Isn't it obvious? In this article, you will learn how to grow purple weed. We will also explain why and how weed turns purple, and will answer the question of whether the colour affects the quality of your weed. So read on! Growing cannabis isn’t something that just recently got popular. Humans have grown (and enjoyed) weed quite literally since ancient times. And as people have been enjoying cultivating this great herb for a long time, they have also tried to give their plants a special note to make it even more appealing. Not all attempts at colourful plants have been safe or healthy. There have even been cases where growers added food colouring to their plants in attempt to make their buds stand out from others. Other methods to change the appearance of cannabis plants are not much better. Growers have resorted to chemicals, or suffocating plants by depriving them of oxygen to force them to change hue. These methods may produce purple weed, but the quality of the product will be very poor. And who would want to inhale possibly harmful chemicals the next time they do some toking—all for some different-looking buds? We don't want to get into these shady methods that will produce “nice-looking” but awful weed. We want to grow purple weed and we want to do it right! So before we tell you how to grow it, here is a brief overview of purple weed. IS PURPLE MARIJUANA BETTER THAN GREEN MARIJUANA? Let’s get straight to the point. If someone tries to sell you purple weed and claims that it is more potent and “totally better” than normal weed, they are either lying or don’t know much about growing. So watch out the next time you visit your dispensary when you ask them why the purple weed costs so much more. The truth is, purple weed can actually be less potent than the same strain that is green. Here’s why. Most plants use the pigment chlorophyll to turn light into energy for their growth. However, plants don’t really have a use for the green wavelength in the light spectrum. Chlorophyll is green because it absorbs all colours, but reflects the useless green back, and this is also why (most) plants are green. But the green chlorophyll isn’t the only pigment that plants have to turn sunlight into energy. There is another pigment called anthocyanin, and you guessed right, this one is purple. The catch here is that the purple part of the light spectrum has the most energy. If for some reason (which we will get into in a second) your plant is purple, the plant is reflecting back this high-energy light, rather than using it. 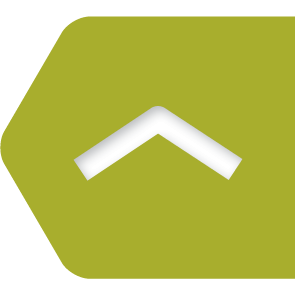 This means that the plant is not optimising light usage to its full potential. This also means that your cannabis plant isn’t growing to its maximum potential, and could therefore be less potent. But know that just saying all purple cannabis strains are less strong than green ones isn’t correct either. 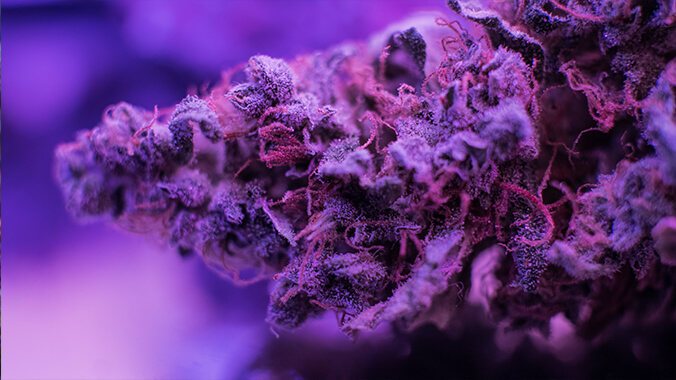 Some purple strains such as Grandaddy Purple or Purple Kush have been bred to contain high amounts of cannabinoids, making them extremely potent, despite their purple hue. In other words, the potency of your purple plant is highly dependent on genetics. So, let’s get to the interesting bits! If you want to grow purple weed, you can do it two ways: You can grow one of these special strains, such as Purple Kush, that will turn purple on its own, or you can grow purple weed from normal, otherwise green strains. 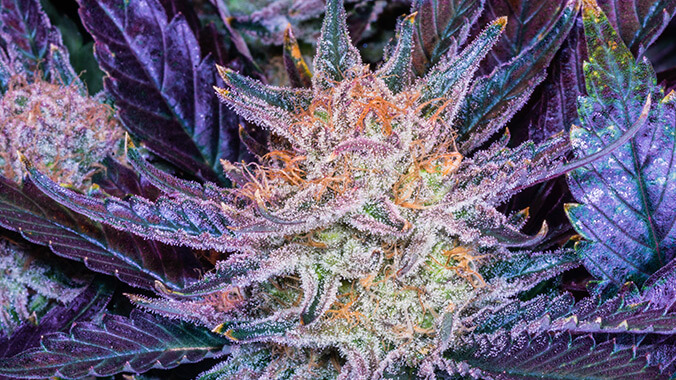 Here is how you can turn “normal” cannabis strains purple. There is nothing special that you need to do in the beginning to produce purple plants. 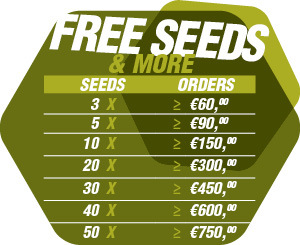 You can start your seeds or clones as usual. Place your seeds in seedling pots or in their final pots, and allow your plants to sprout and veg as usual. The purple magic comes in later, at the time when your cannabis plants are starting to flower. As your plants mature and begin to show the very first signs of flowering, we can get started with turning them into purple beauties. It largely comes down to one simple trick: lowering the night temperatures of your flowering plant, because it is chilly nights that will turn your cannabis plants purple! As a rule, you can expect your plants to turn purple when the difference between daytime and nighttime temperatures is about 15°C or more. Just keep an eye out that temperatures don’t drop too much, as this will disturb maturation. It is noteworthy to mention that the mechanism responsible for turning your cannabis plants purple is the same one that changes the colours of the trees in autumn. A more scientific explanation is that the cooler temperatures make plants produce less chlorophyll and more purple (or reddish or brownish) anthocyanins. You may not always be able to ensure that your plants see a large enough drop in nighttime temperatures to induce purple colouring. If you grow late in spring and then throughout the summer, as with a typical outdoor grow, the nights are simply not cold enough to turn your plants purple. They will be done early in fall, well before chilly night temperatures set in. Indoors in a tent, you can grow photoperiod strains in fall since you are able to control your plants’ vegetative and flowering phase by switching your light cycle. If you time your grow right, the night temperatures can be cold enough to turn your plants purple. Should it not get cold enough in your tent or grow room at night, you can look into an air conditioner to lower temperature. But what if you want to grow purple weed outdoors? You can’t start a photoperiod strain outdoors in fall or winter, not so much because of the lower temperatures (assuming it isn’t too cold), but because of the shorter days that will mess up your plants’ vegetative growing phase. One option could be that you veg your plants inside, and once they reach a good height you set them outdoors so that they can flower in late fall/early winter due to the shorter days. Again, this assumes that it doesn’t get too cold for frost. In some climates like Southern Europe, you can even grow outdoors in winter. The temps will be warm during the day and the nights will be chilly, yet there is no danger of frost. Perfect to grow some purple marijuana! To grow a nice stash of gorgeous purple bud outdoors, you can opt for autoflowering strains. Autoflowers are great for these times of the year (fall, winter, early spring) where the daylight hours would make it impossible to grow or flower photoperiod cannabis plants when you want to. You can set out autoflowers “between seasons” so you can grow and harvest beautiful purple winter weed. In late spring, you can then plant your photoperiod cannabis strains as usual. Whether you’re growing strains that will turn purple on their own or want to encourage your “normal” cannabis plants to morph into mauve beauties, growing purple marijuana can be interesting and a lot of fun. With the help of this guide, you can now proudly show off your growing skills and impress your friends with your beautiful purple buds!